Time to get serious about your life and reach your true potential!! Been searching for a great way to improve your learning? Even though you have already graduated from high school and have even earned your college degree, master’s degree, and doctorate, the quest for further knowledge and intellectual, mental, emotional, psychological, and even spiritual growth is a never-ending one. Would you like to know how to rapidly increase your intellect? 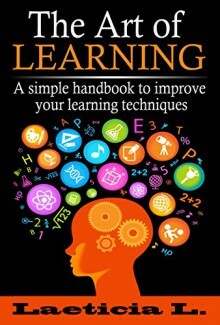 The book has various suggestions on how to hone and tweak your learning methods, since people learn and absorb information in different, unique ways. Achieving a powerful memory is actually quite simple. But you’ll need some insights and strategies to make it happen. It's time to rise up to the next Level. With this book, you'll have the tools and methods needed to reach even faster your goals, get better at learning and improve your memory! Here's a what you'll learn in this book...What type of Learner you areHabits to increase your intellectLearning concepts to applyEmbody genius state to studyTeach in order to LearnAnd much, much more! Don't wait any longer, here's your chance to empower your capacities knowing the Art of Life! Get the knowledge right away!